Not yet registered to vote? Visit CHC-NY on September 25th from 10:00 a.m. to 4:00 p.m. A representative from the New York State Board of Elections will be on hand to register eligible voters. 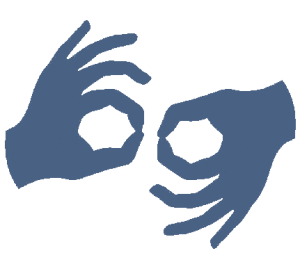 American Sign Language interpreting is provided by the NYS Board of Elections. Even if you’ve never voted before, here’s your opportunity to register to vote and participate in decisions that shape the world. Decisions that relate to the ADA, disability rights, healthcare, SSI, SSD, Food Stamps and more. Tell Washington that people who are deaf or hard of hearing matter! Visit the Center for Hearing and Communication (CHC) September 25th between the hours of 10:00 a.m. and 4:00 p.m. CHC is located in NYC’s Lower Manhattan at 50 Broadway on the 6th floor. No appointment or reservation is needed. or other government-issued document with your name and address. Questions? Please email us using the link below.